Amsterdam-based blockchain company DecenterX is officially one of IBM’s first blockchain partners in the Netherlands. DecenterX specialises in building and implementing public and permissioned blockchains. Aim: to make business processes more efficient, transparent and safer and to provide innovative business models developed on the blockchain. “Meanwhile more and more organisations are becoming familiar with the possibilities of blockchain technology,” says Marcel Langevoort. As a principal technology architect, he has been working on proven decentralized solutions since 2013. “Blockchain technology is becoming mature. We are working on concrete use cases that can actually be applied in the business. It is important to do this with a solid business partner who not only understands the technology but can also facilitate it. 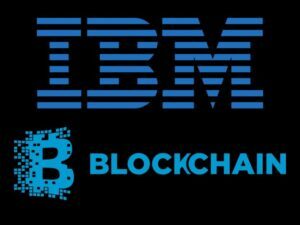 IBM has a proven track record and is involved in a large number of blockchain projects worldwide. We believe that we can share knowledge with this partnership and explicitly help our customers to deploy the blockchain”. Located on the Herengracht in Amsterdam, DecenterX is located in the centre of innovative IT companies. Knowledge in the field of IOT, Artificial Intelligence and blockchain is shared. If you are interested in talking about the possibilities without obligation, please do not hesitate to contact us.